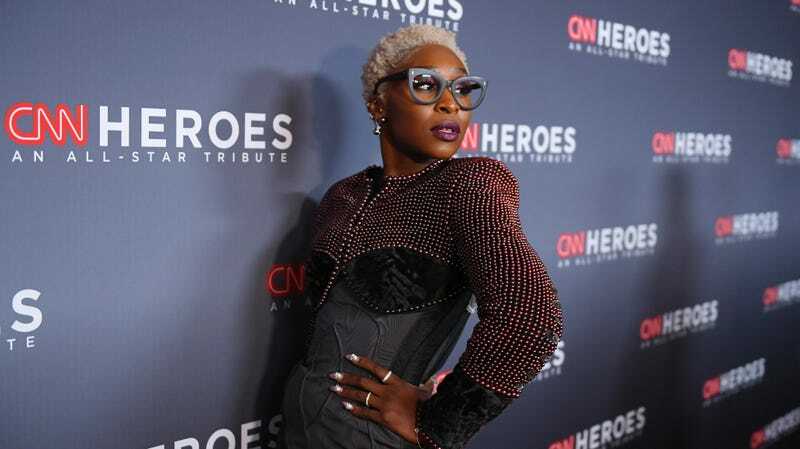 Cynthia Erivo attends the 12th Annual CNN Heroes: An All-Star Tribute on December 9, 2018 in New York City. As film is a visual medium, it makes sense that buzz heightens once the audience gets a peek at movie stills, photo shoots or other behind-the-scenes photos connected to a film. Such is the case with Harriet, an upcoming biographical drama from Focus Features, chronicling the story of Harriet Tubman, who helped free hundreds of slaves in the South following her own successful escape in 1849. The much-anticipated biopic stars Cynthia Erivo as the titular character, as well as Joe Alwyn, Janelle Monae, Jennifer Nettles, and Leslie Odom. In a series of photos exclusively obtained by People, we get our first glimpse of Erivo as the badass abolitionist. As with most actors when preparing for a role, the Tony Award winner focused on their similarities. Upon hearing of the casting announcement, some members of the black community were disappointed by the fact that the role wasn’t given to an African-American woman, particularly a descendant of American slaves. Harriet premieres later this year.